The #PeoplesWave of grassroots champions rising up to reclaim our government has just begun. 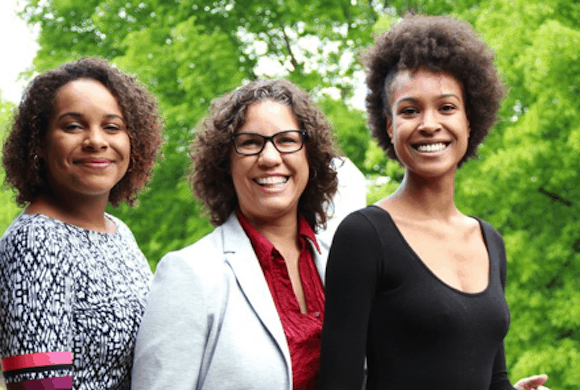 After taking back the U.S. House in November with an unprecedented number of women and people of color, we scored important wins in Chicago’s municipal elections in February. Tuesday’s victories in Illinois and Wisconsin are evidence this momentum continues to build. Indeed, these advances at the municipal level are almost more exciting than marquee victories, as they demonstrate that organizing from the grassroots really works. In Chicago, people’s organizations have worked cycle after cycle to end the power of machine politics and remake the City Council. These efforts are now bearing fruit. 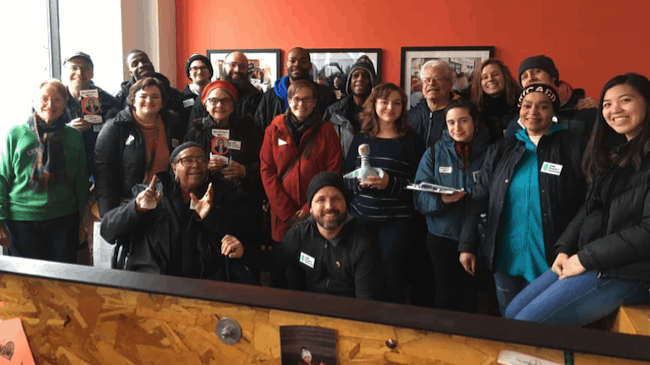 The People’s Lobby/Reclaim Chicago, ONE People’s Campaign and Jane Addams Seniors in Action have all built people-powered electoral operations in wards across the city: they recruit candidates, train volunteers, and canvass voters at their doors, over text message, and on the phone. The People’s Lobby recruited Andre Vasquez to defeat 36-year incumbent Pat O’Connor in Chicago’s 40th Ward, and their multi-year campaign has paid off. Vasquez, the son of undocumented immigrants from Guatemala, declared victory on Tuesday night surrounded by a crowd of cheering volunteers. Since January, ONE People’s Campaign racked up a stunning 16,433 door knocks and 500+ volunteer shifts in their targeted wards. They helped fuel Matt Martin’s win in the 47th Ward, and they joined forces with Jane Addams Seniors in Action in the 46th to push incumbent Alderman James Cappelman into a runoff election last night. That race remains too close to call, which is impressive in and of itself. Marianne Lalonde, the 32-year-old scientist endorsed by ONE People’s Campaign and Jane Addams Seniors in Action, is now locked in a dead heat with Cappleman – separated by a mere 23 votes, the race will now go to a recount with mail-in ballots. Rossana Rodriguez, who was supported by the People’s Lobby in the 33rd Ward, is in the lead over incumbent Deb Mell, who was appointed in 2013 to fill the seat held by her father. This race, too, however, is also still too close to call. Should they win, Marianne and Rossana will enter a City Council that has already been remade by people’s organizations: they will join the already victorious Daniel LaSpata of the 1st Ward, who like Vasquez is the product of The People’s Lobby/Reclaim Chicago candidate pipeline, Maria Hadden of the 49th Ward, who was endorsed by all three Chicago-area People’s Action member groups, Jeanette Taylor of the 20th Ward, backed by The People’s Lobby volunteer power), incumbent Alderman Carlos Rosa, and other progressives. And in Bloomington, Illinois, Jenn Carillo, the daughter of immigrants from Mexico and a member of People’s Action national staff, beat a 20-year incumbent, and Jeff Crabill won in the 8th Ward Both were endorsed by ONE People’s Campaign, whose operations span from Chicago to downstate Illinois. Wisconsin is an essential battleground state: in November, the state elected a Democratic Governor, Tony Evers, throwing out GOP incumbent Scott Walker and reversing the trend that helped elect Donald Trump in 2016. The state’s GOP-controlled legislature, however, sought to severely limit Evers’ powers before he took office, in measures that have since been ruled unlawful. That’s why many are rightly alarmed by the prospect that conservative Brian Hagedorn might be elected to Wisconsin’s Supreme Court, where he could help annul these rulings and restore the GOP’s lame-duck legislation. Hagedorn leads the race by less than half a percent over Lisa Neubauer, so a recount is expected. Yet elsewhere in the state, candidates backed and trained by Citizen Action of Wisconsin scored substantial victories. 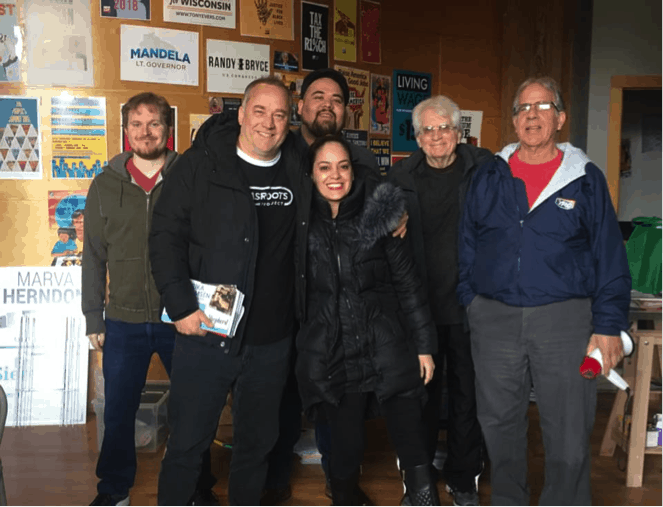 After thousands of door-knocks, phone calls and text messages, seven of the group’s co-op members were elected to office, including the new mayor of Green Bay, Eric Genrich, who was a founding member of the Citizen Action Northeast Cooperative. Other newly elected Citizen Action of Wisconsin members include Green Bay school board member Kristina Shelton, Eau Claire city council members Catherine Emmanuelle, Kate Beaton, and Laura Benjamin, Shorewood Village Trustee Tammy Brockhorst and Milwaukee County Circuit Judge Danielle Shelton. Also in Milwaukee, a slate of five pro-public education candidates endorsed by Citizen Action were all elected. The city’s school district has been ground zero for school privatization schemes, and nearly 30,000 students are enrolled in publicly subsidized private schools, which funnel funds away from public schools but are not held accountable to the same quality standards. Now all eyes turn towards Philadelphia’s city elections on May 21st, which promise more strong victories for the #PeoplesWave. But we know each and every step towards taking back our democracy can never be taken for granted: they are thanks to the tireless efforts of the People’s Action members and volunteers in the streets who make these wins happen.